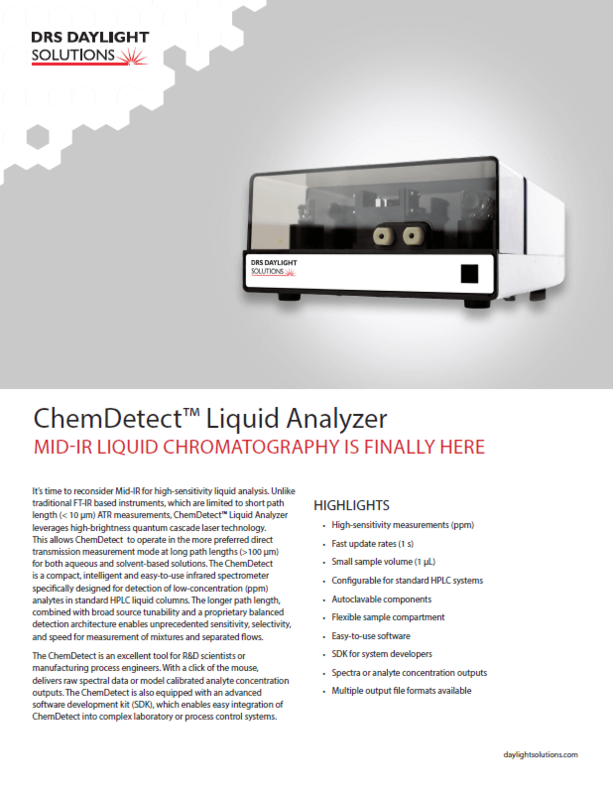 The ChemDetect™ Analyzer is a compact, intelligent spectrometer that uses the power of quantum cascade lasers to analyze and identify chemicals. It combines the latest high-speed, broadly tunable QCL technology with advanced, uncooled detection capability. An embedded computer is programmed with chemical identification algorithms for unmatched specificity and speed. 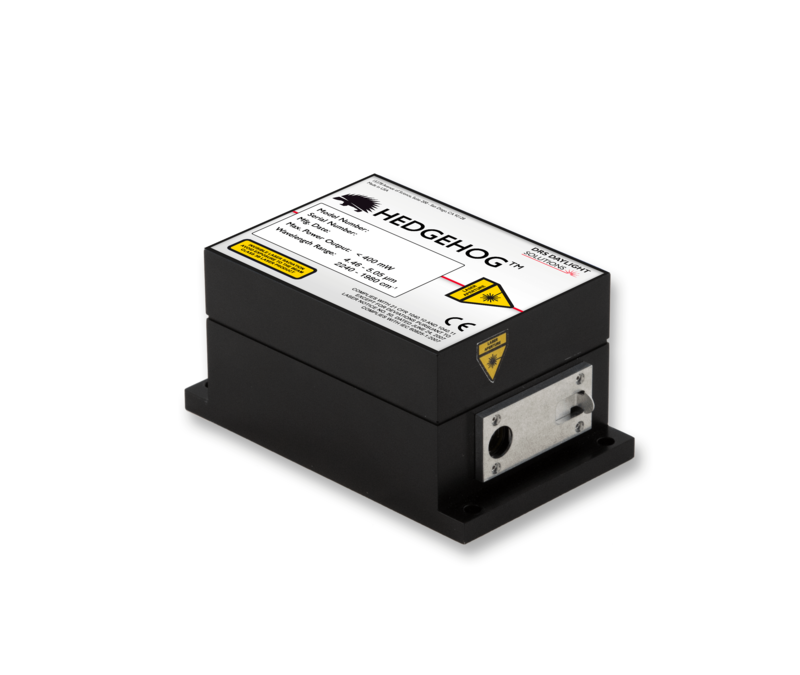 This versatile mid-IR spectrometer and chemical analyzer enables standoff detection or coupling into liquid, solid, and gas sample cells, including long path-length multipass cells, flow cells, and ATR probes. 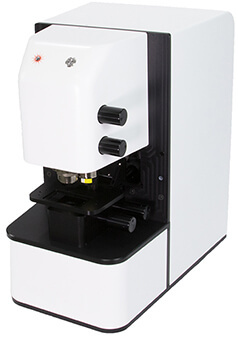 Its high speed and broad tuning range enable simultaneous detection of multiple target chemicals with ease. Benchtop, rack-mount, and portable ruggedized versions are available with ATR, open path, and gas cell sample interfaces. The ChemDetect Analyzer offers the advantages of a turnkey system for measuring chemical concentrations yet is configurable for OEM use. It provides spectra you can trust from the moment you turn it on. 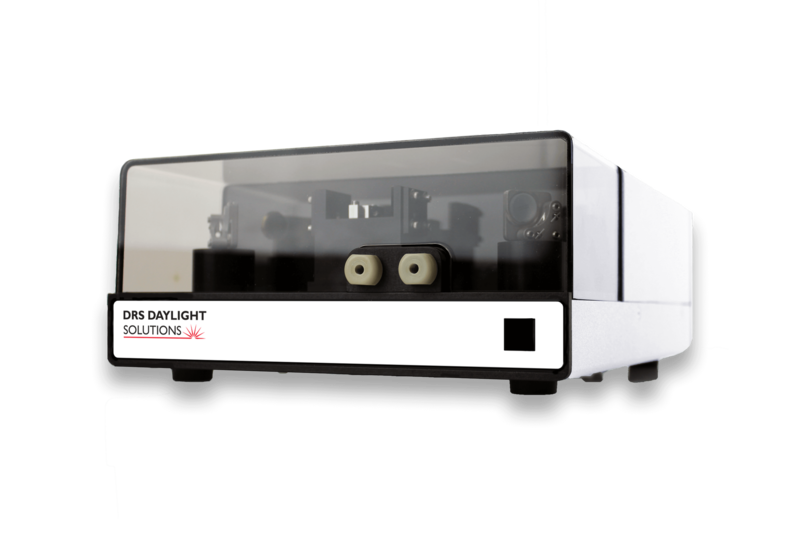 The laser module includes a built-in reference detector, and a separate high-speed signal detector captures the beam after sample interrogation. An integrated controller and data acquisition module powers the laser and receives the reference and signal detector data while drawing only 5 watts of power for the entire system. This chemical analyzer is so portable that it can be taken to the sample site, whether terrestrial, airborne, or beyond. 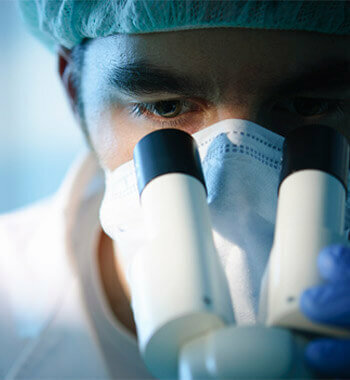 Why bring your samples to your analyzer, when you can bring your analyzer to your samples? The ChemDetect Analyzer is truly portable. Find out how to cut down on travel time.